Lying on a table in his friend’s room was a book which attracted his attention and finding it was a theological work, he picked it up with quickened interest and crossed the room with it. He stood facing a small shelf of pewter dishes and there examined the book, which he discovered to be written by the Puritan divine, John Owen. ‘Instantly’, a friend recalled in after years, ‘an uncommon heat flushed in his face.’ Puzzled, he turned towards the fire, wondering if the sudden wave of heat had come from a reflection of the flames radiated from the pewter dishes. Turning again to the volume he now held, he opened it ant the title page and read, The Doctrine of Justification by Faith. As he pondered on the title another flash of heat suddenly passed over him. Astonished by a second occurrence of this phenomenon, he reasoned that this must be a divine indication that the volume would be of crucial relevance to his need and so requested a loan of the book. We can well imagine that he lost little time in finding opportunity to read a book so strangely brought to his attention. This event led shortly and directly to Grimshaw’s conversion, and the remarkable ministry he was to exercise in Haworth. So, what does a crusty old cessationist make of it? Honestly – nothing at all. It gives me not a single thought that I ought to revise my convictions. Nor do my convictions make me doubt the history. Why should they? What happened, happened. Proper cessationism – that is, mine (!) does not hold that God never does anything remarkable. It does not even argue that God cannot work miracles today. I simply believe that the ‘sign gifts’ were given for an age, and for a purpose, that has now been superseded. A cessationist is not a deist – though some of us sometimes, I fear, sound like one. We do believe in God’s direct intervention. We do believe in spiritual experience. We do believe God answers prayer – providentially, remarkably, miraculously at times. I will admit to this, though: sometimes we are so good at seeing the speck in the eyes of some of our wiser charismatic friends that we do not see the beam in our own. 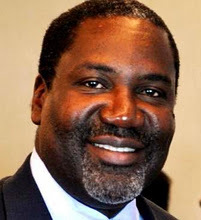 Conrad Mbewe has a post on his blog today about a fellow pastor who committed suicide after a moral failure. It is a stark, warm and salutary piece. The pastor felt his shame so powerfully that he killed himself. Moral failure. The blog makes clear enough what that moral failure was. In the UK, it's an epidemic. 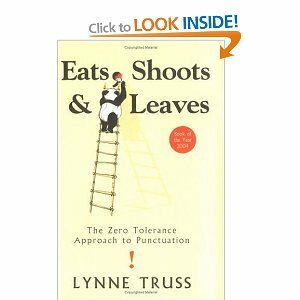 I've grown oh-so-tired - and, I confess, increasingly angry - over one story after another. And what bothers me most is the inadequate sense of shame. No, emphatically not; I'm not suggesting that pastors guilty of moral failure should commit suicide. They need to trust in the mercy of Christ. They need to work hard to rebuild their marriage (but not their ministries). They need to do all they can to minimise the disgrace to Christ. But shame would be a part of that. An awful lot less of 'well, my marriage had been a sham for years.' So what? If it's true, it increases your disgrace: you should have dealt with it earlier. With Christ and goodwill, miracles are possible. And true or not, there is no situation to which adultery is the right, proper, godly, moral response. No situation. Not a difficult wife, or a cold bed, or rebellious children, or stressful ministries, or a combination of them all. There should be less, too, of 'Well, these things happen.' No, they don't. Measles happen. Road Traffic Accidents happen. Storms and hurricanes happen. Adultery is committed. You can't catch it by being in the same room as somebody who is affected. It doesn't come zooming round a stationary car when your visibility is impaired. It doesn't blow in out of a clear blue sky. Adultery is planned; it is committed; it is followed up. I don't know what the cause of this epidemic is. I don't know what the solution is, or even if there is a solution. But I do know that Christians, and pastors most of all, need to learn to take responsibility for the way they live, and stop seeing themselves and their behaviour as victims. One of these is good looking, intelligent and by all accounts a capable speaker. The other one is me. 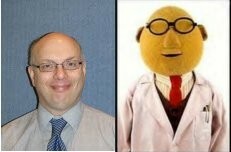 One of these has a sponge for a head; the other is Dr Bunsen Honeydew. The mischievous Fr Z has posted these two pics on his blog. One of them is a muppet. The other appears to be some sort of scary, orange-haired toy. My regular reader will know that I have, once or twice, blogged about Peter Masters. This week, I was teaching my bi-annual session on 'Evangelistic Preaching' at the FIEC's PfS Course. It's immensely popular - with me, anyway. Each time, I recommend the evangelistic preaching of Peter Masters as a good example of how it should be - along with some resources from the Tab. This year, I thought I'd better have a listen to a recent example. After all, he is no longer a young man: has he lost it? So, I went to the Tabernacle Website, found the video of last Sunday evening's sermon (November 6th, on Galatians 2:20) and settled down to listen. Has he lost it? Er, no. To be honest. He does look a little frailer than I remember - and he's far too much hair to be decent in a man that age... but his preaching was excellent. Really very, very good - especially the introduction. No hesitation in recommending the PfS students to go and have a listen. I gave a different lecture on evangelistic preaching recently at WEST, to a very fine, friendly bunch of students. Word came back to me that few - if any - agreed with me that it ought to be a regular, weekly, feature of a pastor's ministry. It bothers me, that: what hope for the nation if good men stop preaching evangelistically? Last night the Bournemouth Symphony Orchestra performed two works by Brahms - the Hungarian Dance number one, and the beautiful violin concerto; Andrew and I were there to hear them both. The BSO seemed to have quite a few different players and, to be honest, I didn't think they were as good as usual. But the soloist, Viviane Hagner, was excellent. I confess I'd never heard of Miss Hagner; she's German-born, 34 years old, very slightly built, and played beautifully. She'd stood in at short notice for the advertised soloist, Julian Rachlin, who is unwell. How's that work, then? A string of musicians waiting for the last-minute call? At any rate, you would never have guessed that Hagner was a substitute; a great evening. Dr Peter Saunders quotes here from a New Scientist article - the whole article is here - about the ethical use of stem cells - that is, use that doesn't require killing anybody, born or unborn. DID you know that you have accessible stem cells up your nose? Or that human fetuses shed stem cells into the fluid around them? Both of these seemingly random facts could spawn novel, personalised stem-cell treatments that, if not simple per se, are simpler than what has gone before. What marks these treatments out is that they are eminently practical and ethically unquestionable. This is in stark contrast to much previous work, which has focused on human embryonic stem cells, or hESCs. From the outset, the use of hESCs has been fraught with controversy. Only last week, after years of trying, and the notorious fraud involving Korean researcher Woo Suk Hwang, hESCs were finally created through a variant of the cloning technique that gave us Dolly the sheep. This fused skin and egg cells, leaving the nucleus of the latter intact. Unfortunately, human eggs are still required, embryos still perish in the process and in this case the embryos and resulting hESCs had three sets of chromosomes instead of two, ruling out medical uses. A promising alternative to hESCs emerged in 2006 when researchers produced so-called induced pluripotent stem cells (iPS) from ordinary tissue such as skin. But to convert adult cells into embryonic-like cells means genetic reprogramming, for example with a virus, and the reprogrammed cells do not yet match embryonic stem cells. Now there are different avenues of research that are simpler in many ways. In ‘Diabetic rats cured with their own stem cells’, we report how researchers cured diabetic rats by turning brain stem cells extracted through the nose into insulin-producing cells in the pancreas. They did this without any genetic trickery. And in ‘Baby repair kit found inside the womb’, we report how congenital defects such as holes in the diaphragm could be patched up using a baby's own stem cells extracted from the surrounding amniotic fluid. What's worrying is that he concludes by saying 'You won't read about this in any British newspaper'. Can any of you prove him wrong? To those who object to Gaddafi's execution or the manner of it, His Grace urges you to save us your sanctimony. There are those who say there should be no rejoicing in the death of any man. Well, put yourselves in the shoes of those who have lived under the brutal dictatorships of the modern era - Mao, Mussolini, Hitler, Stalin, Ceausescu, Saddam - and ask by what moral standard you judge the oppressed and persecuted? As you read your newspapers over coffee and lounge in the comfort of your cosy armchairs, reflect on the undeniable fact that some people are just evil. And when the sum total of the suffering they inflict reaches beyond endurance, those who have suffered will feel wholly justified in taking up the sword. Of course, they might themselves then die by the sword, but that is their choice. When the state ceases to bear the sword and justice is no longer seen to be done, judgement will fall somehow from the anarchic baseness of human nature. Modestly announcing... P R I C E C R A S H ! ! ! Few things equal the excitement of a child receiving gifts. What do those brightly-coloured parcels contain? Are the presents something we really want, or merely things we will feel the need to be polite about? Even in adulthood, the excitement persists—the excitement of not knowing and of discovery. Such gifts, though, often end in disappointment. They prove to be without any practical use, or to be fragile and unable to last. Or, often, just to be something we never really wanted at all. The greatest gift ever given was given by God, the gift of his Son, the Lord Jesus Christ. Perfectly tailored by God to meet the greatest need we all have, yet God’s great gift is still largely ignored or misunderstood by mankind. In this little booklet, Gary Benfold sets out to show why we should take God’s gift of Jesus seriously. What is so special about this gift—and why is it still important, two thousand years later? He answers these questions by looking at the three questions we all have in mind when we open a new present: who is it from? What does it do? How much did it cost? These important questions are opened up from the Bible itself, and lead to a compelling argument for taking Jesus seriously. 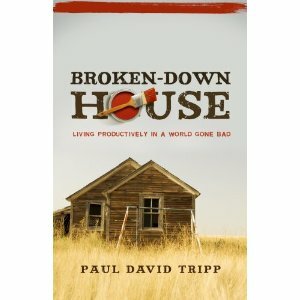 Friends may be interested in my latest evangelistic effort - called 'Gift', Jonathan Carswell at 10ofthose.com is doing a good deal on them, especially for multiple buys. Small enough (A5) to be enclosed with Christmas cards, and cheap enough too, can I encourage you to get hold of multiple copies and give them away? They're beautifully produced, in full colour and ideal (says he modestly) for churches to give away at their Christmas services. In it, I try to answer the questions about the gift of God's Son that we tend to ask ourselves when we get any gift: who's it from, what does it do, how much did it cost? I hope it's attractively written, avoids jargon and explains the gospel clearly; and I will put an extract up here very soon. But at only a few pence for an individual copy, you can hardly lose? 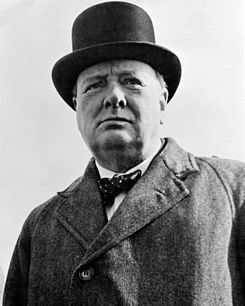 On October 29th 1941 Winston Churchill returned to Harrow, his old school which had assured his parents that he would never amount to anything. It was speech day; it was the midst of war. Knowing undoubtedly more than he could tell the boys about the danger the nation was in and the fragility of our armed forces and carrying more of a burden then he could ever hope to share, the popular version of his speech has it amounting to just 12 words: ‘Never give in. Never, ever give in. Never, ever, ever give in.’ The truth is, though it contained words very like that it was, in fact, a little longer – and in the midst of the battle, with ‘the miracle of Dunkirk’ a little over a year ago and D-Day still almost three years away and all the burdens of the free world upon him, he said: we have only to persevere, to conquer. And so it is with us, though for very different reasons. Christ reigns on high; his Spirit moves in the world, in the church, and dwells within believers. The battle rages: but Christ died. Christ is risen; Christ will come again. We have only to persevere, to conquer. ...we cannot be satisfied with a faith that lives most vibrantly in abstract theological concepts and the ease of Sunday-morning services. We cannot be satisfied with a Christianity that features episodic moments of ministry but otherwise is shaped by the values of the world. We cannot be satisfied with a Christianity that simply fills another slot in an all-too-busy schedule. We cannot be satisfied with a Christianity that allows us to live at the centre of our world. We cannot be satisfied with a Christianity that does not live the biblical hymns we sing and does not apply the biblical exhortations we have heard. Self-righteous, self-satisfied, and externalistic spirituality is dangerous and must be resisted. It is not a by-product of true conversion, but flows from the man-centredness of secular thinking. Forgive me, but I found it funny! Why won't they debate? The fear of God, perhaps? In His Grace’s experience, they are almost universally kind and hospitable; sing an awful lot of Shine, Jesus, Shine; believe the Canon of the Bible was handed down by God; praise the Lord when they find a lost saucepan; rejoice in Middle-East bloodshed and social breakdown, ‘for these things must be’; and their view of Church history begins with Acts and then jumps straight to Amazing Grace. Certainly, His Grace has never yet met an evangelical who grasps the Patristics, understands Chalcedon or appreciates the historical significance of any of the early Ecumenical Councils. Now, that would be a bad thing, wouldn't it? 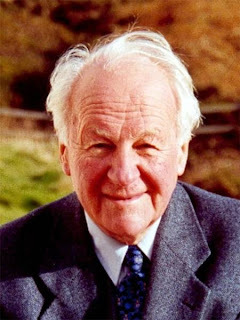 John Stott, one of the most respected and influential preachers of the age, died today at 90. Among the many tributes comes this delightful snippet from Richard Bewes, one of his successors at All Souls. Have you seen this? And the further comment, here? Last year John Piper took a well-publicised 8-month break. The major reason seemed to be family issues - needing time to give to his wife and his children, to repair relationships and build for the future. So, a leave of indeterminate length, during which he hopes to pursue reconciliation with those he's offended. A third-party ministry is being asked to oversee and evaluate, and David Powlison and Mark Dever (both friends of CJ) have been asked to review the charges, and to counsel and correct CJ. But I think this is over-kill. If anybody's offended, and right to have been offended, apologise. And move on. And get on with the work. If they can't accept it at that point, it becomes their problem. Not only is it over-kill; I fear it minimises grace - the very last thing CJ would want. Christian grace says sins are forgiven by God the moment we confess them, and should be forgiven by others too at the moment of apology. To turn it into a long process has more in common, I fear, with psycho-babble than grace. An extended leave to sort out our mistakes is an indulgence most Christians, and most pastors, cannot afford. Don't let Satan cripple your work, guys; time is short. Get on with it. You're good at what you do - by God's grace. What next? Dever taking extended leave while he repents of finding only 9 marks of a healthy church? Macarthur taking extended leave while he personally scrubs all his recorded sermons clean of dispensationalism and prepares an extensive series on the Old Testament? Driscoll taking extended leave as a penance for his appalling sense of humour? One thing you can be sure of: Begg won't join the bandwagon. He's a Brit; he'll be getting on with it. Spurgeon - from a different angle? Well - who’d have thought it? The following quotes are taken from ‘Why did the English stop going to church?’ by Dr. Michael Watts, then Reader in Modern History at Nottingham University. It formed the 1995 lecture of the Dr. Williams’ library. Watts does not appear to be evangelical, making his comments all the more illuminating. How… can we explain the difference between the religious histories of England and the United States? The answer seems to be that the American churches, to a far greater extent than English churches, have held on to the doctrines that produced the upsurge in popular religion in both countries n the first half of the nineteenth century: the doctrines of the sinfulness of man and of his ultimate destruction in the fires of hell unless rescued by the blood shed by Christ at Calvary… conservative churches grow and liberal churches decline because liberal churches offer commodities such as ‘fellowship, entertainment and knowledge’ which are also provided by secular organisations, while conservative churches offer ‘the one incentive which is unique to churches’: salvation, the ‘promise of supernatural life after death’ (page 13). I began my study of Nonconformist history many years ago with an examination of the career of the great Baptist leader John Clifford. Inevitably, in the course of that study, I had to spend a good deal of time on the Down Grad controversy of the 1880s. In that controversy Spurgeon argued that the liberalisation of the English Presbyterians in the eighteenth century had led to the decline of Old Dissent and he warned that the liberalisation of Victorian Nonconformity that was occurring in his own day would, if not checked, issue in a similar conclusion. Clifford, as president of the Baptist Union in 1888 and as the most prominent of the Baptist liberals, had the task of defending his fellow Dissenters from what many of them regarded as Spurgeon’s libellous attacks. My own sympathies in the controversy were entirely with Clifford. It was not surprising that a young researcher should have scant sympathy for Spurgeon, the man who took some pride in his later years in the accusation that it would take a surgical operation to get a new idea into his head. 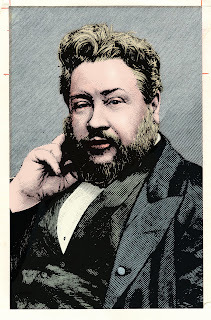 Yet, a hundred years after the Down Grade controversy, I have to confess that both in his interpretation of history, and in his prognosis for the future, it was Spurgeon, not Clifford, who was right. Back in the 60s, it was (occasionally) possible for singers of enormous talent to emerge seemingly from nowhere. Kathy Kirby was one; she died last week aged 72. On Wednesday afternoon my father, David Wilkerson, passed away in a car accident. We grieve the loss of a beloved father, a faithful husband and a holy man of God. My mother, Gwen, his wife of 57 years, was in the car also, but we are told she will recover fully. Dad’s 60-plus years of ministry have impacted the lives of those closest to him and extended to millions around the world. Today we feel a personal loss, but at the same time we rejoice knowing Dad lived life to the fullest, obeying God with devotion and loving Jesus radically. He was known for his unlimited faith. He believed God could change the lives of gang members and transform the most desperate drug addicts. He believed that a dynamic church could be launched in the heart of Times Square, New York City. He believed he could be a man who loved his wife and children well. And he did. Dad was not one for fanfare, acclaim or ceremony. He turned down invitations to meet with world leaders yet would give everything he owned to support a poor orphan or a widow in distress. Like King David of old, Dad served God’s purposes in his generation. 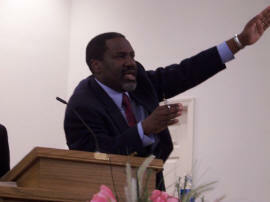 He preached with uncompromising passion and relentless grace. He wrote with amazing insight, clarity and conviction. He ran his race well and when his work was done, he was called home. That's some testimony, isn't it? "He turned down invitations to meet with world leaders yet would give everything he owned to support a poor orphan or a widow in distress." There is a form of preaching that specializes in appeals to the will. It possesses little intellectual and doctrinal content, and there is nothing about it that ever moves the emotions; but tremendous pressure is brought to bear on people in the realm of their wills. They are made to ‘decide’, and to do something – all the pressure is on the will. The point I am making is that any of these partial emphases is unworthy of the name of the Gospel, this Gospel which the Apostle describes elsewhere as ‘the glorious gospel of the blessed God’ [1 Timothy 1:11]. 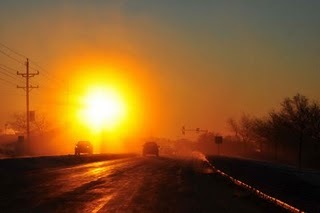 It is so big, it is so great, that it takes in the whole man, it engages the entire personality. If our minds and hearts and wills are not engaged we are not Christians. ‘Thank God’, says the Apostle, ‘ye have obeyed from the heart that form of doctrine that was delivered you’. The whole personality of these Romans was involved in this change. You cannot be converted in your mind only, you cannot be converted in your heart only, you cannot be converted in your will only; if you are truly converted and born again, the three are involved, the whole man is involved. The Daily Telegraph has reported that you will not debate with a foremost Christian apologist, William Lane Craig. It has even reported that one of your fellow Oxford atheists – Doctor Daniel Came – has suggested it looks like cowardice on your part. So, when we hear the shrill voice of Dr Richard Dawkins bleating about Professor Craig’s ‘relentless drive for self-promotion’, and rejecting the debasement of his eminent CV by debating with the distinguished Christian apologist, we should remember this: Richard Dawkins never contributed much to science; his Oxford chair was bought for him by a rich admirer; and the scientific ideas upon which he built his reputation are increasingly discredited. Those beguiled by his diatribes are listening neither to the voice of reason nor science. Well, Dr Dawkins – here’s my advice. Don’t be intimidated; don’t let these people bully you into the debate. It is better by far to refuse to debate and let people think you’re a coward, than to debate and let them know without doubt that your arguments (not to say your credentials) don’t stack up. Virgin Mobile Customer Service - well, I never! Every now and again we're taken by surprise. In a world of rudeness, and big companies who don't seem to care for their customers - well, I never. At the beginning of April we responded to what looked like an excellent deal from Virgin Media on a new mobile phone for Elaine. When the phone arrived, we couldn't use it to get on the internet, for whatever reason. Just very slow access, I think. But at the time I thought I was doing something wrong and we'd sort it. As a result, we let the fourteen-day 'cooling off' period go by. But it turned out I was wrong; the internet access on this model was very slow, and there was nothing anyone was going to be able to do to change it. So I phoned Virgin, and they said - quite reasonably - that the 14 days had passed and there was nothing they could do. Frustrating - but fair enough; that is (after all) what their contract said. My bad, as they say. Still, I thought it was worth another try. I found an address to write to in Trowbridge, and wrote what I hoped was a nice letter explaining my problem and asked them to reconsider: would they change the handset for a different type that I already knew well and was satisfied with? Almost immediately (if you allow for the Bank Holidays) I got a call from a delightful-sounding young lady who identified herself as Chrissie from Virgin Media. She told me that the folks I'd already spoken to at Virgin were right (I knew that). Still, on this occasion they were prepared to help (I've been with VM for a good long while). Not only did Chrissie give us what we asked for, but also (tell no-one, OK?) she gave us more than we'd asked for. She offered us a better phone - the one we wanted - or (if we preferred) just to cancel the contract. Less than 24 hours later, a new phone arrived; it's all set up now, doing exactly what we want it to do and we're delighted. I tell you, I'm sticking with Virgin. If you want good customer service, they're the folks to go to. If I knew how to get hold of Richard Branson, I'd be telling him, too. Ah, those were the days. Clark - remember this? OK - now I'm back; hope to post again on Wednesday. God willing, as always. Expository Faithfulness from Sovereign Grace Ministries on Vimeo. CJ is one of the most faithful preachers I've heard. This is great stuff - but listen, will you, to the way he introduces the Bible reading? Do we super-reformed types regard the public reading of Scripture with such seriousness? Then, take a listen to the extended section when he gets to 'complete patience'. Hi, Steve. Glad to hear from you. Actually, I suspected you’d responded last time I posted this, but anonymously – was I right? Thanks for taking my post seriously. I’m always glad for any evidence that someone is actually reading them! I’ll take opportunity here to respond. Let me begin by saying that a) we’re in agreement about a lot, as you say; b) the gospel is bigger than this, and I quite understand that your church feels closer to some non-Charismatic churches than to some Charismatic churches who’re soft on the gospel, and c) you only took up one point in my post! Unlike you, I am not convinced by the argument Stuart Olyott makes for 1 Corinthians 13:10. Much as I appreciate his work, I think that his exegesis of verse 10 does not stand comfortably within the passage. 2. V.12 seems to qualify V.10 by stating that it will be when we see 'Face to face' we will know in full, until then we continue in part. 3. Immediately following this passage and upholding love as supreme, Paul then enters into a very explicit discourse on the use and administration of gifts without the slightest hint that they will disappear. OK: one at a time. 1. Yes, the context is ‘the supremacy of love’ but that doesn’t mean that what he says about the gifts is not to be taken seriously. Love is supreme precisely because it continues when most other gifts have ended. There will be a time, says Paul, when only ‘faith, hope and love’ remain (verse 13). That ‘time’ cannot be a reference to heaven: for ‘faith’ is ‘being sure of what we hope for and certain of what we do not see’ (Hebrews 11:1) and is explicitly contrasted with sight – the sight of heaven – in 2 Cor 5:7. And hope – ‘hope that is seen is no hope at all. Who hopes for what he already has?’ (Romans 8:24). Remarkable as it seems at first hearing, if we define faith and hope as the New Testament does there is neither faith nor hope in heaven. But if that ‘time’ is not heaven, when is it? How can the sign gifts remain right until the end of the age? 2. Indeed, the phrase ‘face to face’ is very important. But it’s important to remember Paul’s Biblical background – he has not just plucked this phrase out of the air. He is alluding to Numbers 12:8 where Moses uses both the concept of ‘face to face’ and ‘dark speech’ (it’s translated ‘riddles’ in the NIV, not very helpfully). ‘Darkly’ or ‘dimly’ is also omitted from the NIV (what a nuisance that translation is at times!) but check in other translations. The close use of both concepts makes it very clear that Paul is alluding to Numbers: so what does the passage in Numbers speak of? It speaks of two different earthly revelations, and of the superiority of Moses’ revelation to that of other prophets. In other words, it not only fits with the idea that 1 Corinthians 13 is comparing the incomplete revelation of the prophets with the complete and clearer revelation of Scripture: it requires it. Nothing else makes sense of the allusion. And if you object ‘but he says we will know fully, even as we are known, and that can only refer to heaven’ think about it. We will never – not even in heaven after an eternity of eternities – know God as fully as he knows us; we don’t have the capacity for that. He is using the phrase though to contrast the lesser with the greater – NT prophecy (the lesser) with full Scriptural revelation (the greater). 3. As for him entering into an explicit discourse in chapter 14 without the slightest hint that they’ll disappear – he’s just told them that! What do you want him to do – end every paragraph with ‘and don’t forget – shortly after you’re dead, these gifts will disappear anyway; I just need to keep saying it in case somebody in two millennia misses it’!? ‘The New Testament has much to say on gifts, signs and wonders…’ you say. Well, no actually. Not that much. It has a fair bit to say on circumcision, too. My position doesn’t negate the passages that are there – it just understands them in the whole NT context. There’s no authority beyond the New Testament – we’re agreed on that. And I don’t appeal to any authority other than that – do I? You may not agree with my understanding of 1 Corinthians 13, but at least we both accept that it’s part of the New Testament! Did you know I was present when Wendy was healed of epilepsy? I remember that Sunday morning so very clearly. I wouldn’t want to doubt that it was a most remarkable answer to prayer. Was it a miracle? I don’t know; I remember too that she had at least one further attack after that morning before they disappeared completely. And I know too that some forms of epilepsy do pass eventually. So I’m hesitant to use the word ‘miracle’ (which I think has a very narrow definition); but not remotely hesitant to say that it is one of the most remarkable answers to prayer I’ve ever seen. And yes, I’ve seen other, similar, answers. My position on healing is, I think, roughly the same as Lloyd-Jones’: God still heals, but there are no healers. (And I remember that Lloyd-Jones always insisted that he had never seen a genuine miracle). As for ‘real, tangible healings at Citygate’ I’ve no reason to deny it – my theology doesn’t require it! BUT I would caution you: be sure the people who seem to have been healed were actually sick with an organic – rather than psycho-somatic - illness, and had been properly and reliably diagnosed as such. Then be sure that they’re actually healed, and healed without medical intervention. Only then can you even begin to think of using the word ‘miracle’; the Roman Catholic Church, to its credit, examines all of Lourdes’ ‘healings’ in this scrupulous way. Such caution IS necessary; twenty years or so ago a well-known Christian woman hit the secular press with accounts of her miraculous healing and, sure enough, all tests revealed no trace of the disease she said she had had. It was only when a sceptical evangelical doctor eventually gained access to her medical records that it was shown she never had had the disease; she had self-diagnosed, and been mistaken. I find that most rejection comes down to a personal experience (as did I) which we just know in our bones is not authentic. But is that the right thing to do? Well, no it’s not. But my reply would be that it’s the other way round: most people come to the Bible convinced that they’ve seen healings/tongues/prophecies etc and are therefore insistent that the Bible can’t mean what it says – and what Bible believers have believed it to say for most of the last two millennia. Where, Steve, are the tongues that are not ‘angelish’? Where are the organic healings that make the medical profession and the world sit up and take notice? Why did no-one respond to the Pyromaniacs’ challenge for a well-attested, significant and accurate prophecy? Why did John Wimber – the most remarkable and famous charismatic of his day – promise David Watson (the most remarkable, famous British charismatic of his day) that his cancer would be healed (just before he died of it!) Why did people all over the world write to Watson with the same prophecy? Why was there not a single voice saying ‘I have heard from the Lord, and this sickness is to death’? Is it possible that the supreme and sovereign Lord allowed this so that we could face the facts – there are no true prophets today? Well, blessings to you. We’ll have to meet up some time and have a coffee, instead of bumping into one another by accident. Give my love to your Mum and Dad. Thanks to Adrian Warnock for pointing me to this very rare (and all too brief) interview with the good Doctor. Was Spurgeon a Calvinist?It seems incredible that the question should be asked, given the amount of literature available on Spurgeon and the clear and repeated statements the man himself made. But last year, two of my friends – both able evangelists, neither of them with much time for Calvinism or Calvinists (and neither of them, I think, really understanding either) – both expressed their admiration for Spurgeon and ended by saying 'But of course he wasn't really a Calvinist.' It isn't a new charge, of course – many of Spurgeon's contemporary Calvinists said the same thing. What is different about my two friends is that it's non-Calvinists who are saying it; and it set me wondering why; why two men should think that about Spurgeon today. What I want to do in this brief article is look at the two different reasons these friends gave and for each one examine whether there is a misunderstanding of Calvinism involved. 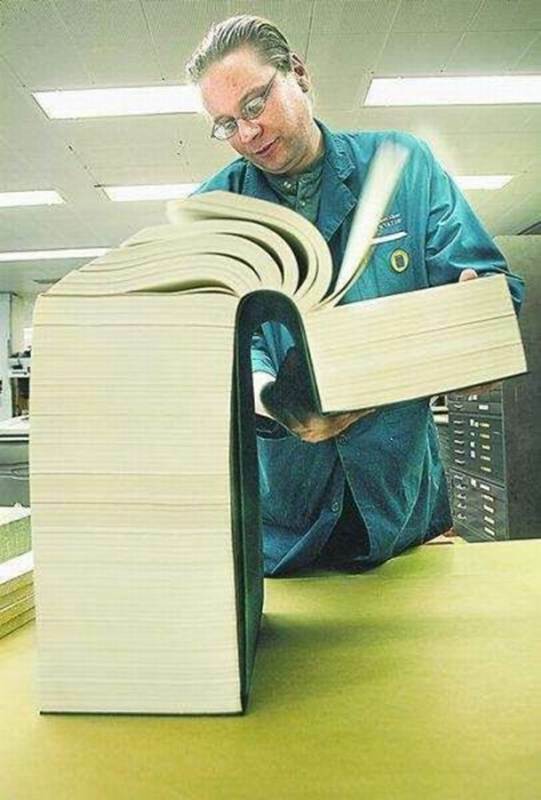 Then, in conclusion, I want to suggest some lessons that contemporary Calvinists may need to learn. 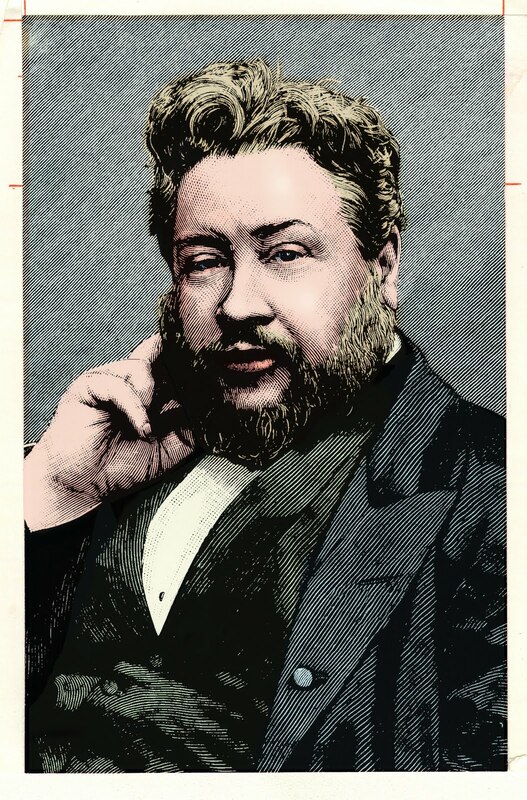 Evangelist number one told me that Spurgeon wasn't really a Calvinist because he was willing to say to a mixed congregation – believers and unbelievers – 'Christ died for you.' In context, this followed the statement 'Calvinists are not seeing people converted today because they are unwilling to say to their congregation "Christ died for you."' With this latter statement there are a number of problems; is it true that Calvinists are not seeing people converted today – or, at least, are seeing fewer people converted than non-Calvinists? It may be – but are there any statistics? (Let us leave aside the admittedly vital question, 'How do we judge true conversion?') And if it is true, how do we establish that it is because Calvinists are not saying 'Christ died for you' to unbelievers? Much more importantly, if the statement 'Christ died for you' is so vital to gospel preaching, how do we account for the plain fact that not one of the evangelists in the Acts of the Apostles ever used the phrase – or anything implying it – in any of their recorded sermons? My evangelist friend – one of the most gifted and able men I know – went quiet at this point; it had never occurred to him (such is the power of presuppositions – ours too, of course, not just 'theirs'!). 'Don't they?' he asked. And then 'What about Isaiah? "The Lord has laid on him the iniquity of us all."' What indeed? Isaiah of course is not a New Testament evangelist and an Old Testament sermon to a rebellious but covenant community cannot be applied willy-nilly in preaching to pagans. But, just in case any should doubt Isaiah's doctrine of the atonement, the prophet tells us 'He bore the sin of many,' and no Calvinist doubts that. But what of Spurgeon? Without doubt, he did believe in the doctrine of limited atonement which, properly speaking, does make it impossible to say to a mixed crowd or to a particular unconverted sinner 'Christ died for you.' Then too, he did sometimes – in his closing appeals – seem to invite people to Christ on the basis that Christ had died for them. But, let it be said, not very often. It is equally true that he sometimes invited people to Christ in terms that made him sound like a hyper-Calvinist (A hyper-Calvinist, in the sense in which I am using the word here, believes that the warrant of faith is within the sinner himself; that is, an unconverted person may believe that the gospel promises are for him or her if and only if he or she finds certain qualifications in his or her own self.) It is certainly true that, much more often, Spurgeon invited folks to Christ in terms that did not compromise his Calvinism in either direction. What then shall we say of the 'lapses'? It is possible, of course, that they are editorial additions, since we know that his secretary Joseph Harrold often edited the sermons and was solely responsible for their editing after Spurgeon died. It is possible, then – but not, I think, likely. In fact, it is much more likely to be quite the reverse: because Spurgeon edited most of his own sermons, we cannot say these phrases were uttered incautiously in the heat of the moment, or taken down wrongly by stenographers. When Spurgeon himself reviewed the manuscript, he let the phrases stand. Why? Surely it is because the preacher was too concerned that sinners be commanded, invited and encouraged to come to Christ in terms that they could understand to worry about possible misunderstandings that people might read into his words? In this, he followed the apostle John – John 3:16, 1 John 2:2 for example. Now, anyone who thinks this does not represent true Calvinism has, I believe, made two vital errors. Those errors, I suspect, are our fault as much as theirs; but I will come to that. First, what are those errors? The primary one is that Calvinists 'get their system' from somewhere other than Scripture and impose it on the sacred text. I guess we have to admit straight away that some have done and do do that! Many of us have winced at those who want to assure us that when Christ said 'God so loved the world' he meant 'God only loves the elect,' – as if the Saviour did not have the vocabulary to express his meaning properly. But we also have to say that this is not true Biblical, evangelical Calvinism; however well-meaning, and however great its pedigree, it is a perversion. And it's a perversion that is at least as dangerous as Arminianism. By contrast, we would want to insist that the Scriptures alone are our authority; that our Calvinism is clearly taught in the Scriptures; that responsible and careful exegesis of all the Biblical data drives us to our theology – and then to turn the tables on our friends by showing how they impose their own presuppositions and theology on the Scriptures. (For example, what else can we make of Mark 10:45 – the Son of Man came to give his life a ransom for many – other than that the Saviour did not mean 'for all' or he would have said 'for all'?) The Scripture drives and controls our theology, not the reverse. If we are not faithful to the Scriptures – and to all the Scriptures – then let it be shown and we will recant. But (we need to warn our friends) take care; just as we do not abandon our belief in the deity of Christ when heretics point us to 1 Timothy 2:5 ('the man Christ Jesus') so we will not abandon our particular atonement when Christian friends show us (as if we have never seen it!) 1 John 2:2 ('he is the propitiation… for the sins of the whole world'). The cases are exactly parallel; in neither case are we surprised by the text, in neither case do we impose our theology on the text and in neither case is our theology challenged by a proper understanding of the text. The second error is to think that Calvinists believe that God does not desire the salvation of all. Perhaps there are some (undoubtedly there are some) who call themselves Calvinists who believe this; once again, however, that is not the essence of Calvinism. Calvinists well know that God takes no pleasure in the death of a sinner, but rather than he should turn and live (Ezekiel 33:11); we know it, and rejoice in it. But faced with all the Scriptural data we see the need to make a distinction between the desire of God and the purpose of God. Plainly, not everyone is saved. Either then God does not have the power to save everyone (which makes God less than God and controverts plain Scriptures ) OR it is not God's purpose that everyone be saved. It is his will, but not his purpose. WHY should God's will be different from his purpose? Who knows? As Bunyan said on another issue, 'Where Scripture has no tongue I have no ears.' We are not told why and it is pointless to speculate; so we maintain both truths – not in tension, but in joy. The tension is only in the minds of those who lament our inconsistency! 2. Contemporary Calvinism is not like Spurgeon's. But I said earlier that, if our non-Calvinist friends hold these errors it is probably our fault as well as theirs. We may want to say 'Hodge and Warfield and a thousand other Reformed theologians will put you straight if you but read them!' But it is not enough; they are reading us, and see not nearly enough to attract them. May I suggest two major errors of which we need to repent? Firstly, we do not have the passion for the lost that we should have. That's been said often enough, and it's true. No-one looking at Spurgeon or at Whitefield could deduce that their theology made them cold, or ineffective evangelists. But our Calvinism is not like theirs in at least one important respect: many of us are more in love with our theology than we ever have been with souls. Many of us are more concerned with how other Calvinists see us, or with what Spurgeon called 'a foolish consistency' than we are with reaching the lost. Both Spurgeon and Whitefield preached in ways and did things which caused other Calvinists to question their theology; but we are too careful for that. Perhaps we value our welcome at the Leicester Conference far too much to do anything which might raise eyebrows, still less save souls! Both Spurgeon and Whitefield were different; they were innovative, adventurous and careless about their own reputations. When we are the same, others will have far fewer grounds for hating Calvinism. Secondly – less importantly but not to be forgotten – we need to be more obviously people of the book. Until we know our Calvinism well and can defend it from Scripture alone; until we know what the most likely objections are and can answer them from the Scriptures alone let us not presume to teach others. Many of us can remember those heady days when first we glimpsed those doctrines of grace, and yearned that others should know them too. And that is right, surely. But immature zeal can do great damage – and anyway, reaching the lost is always more important.